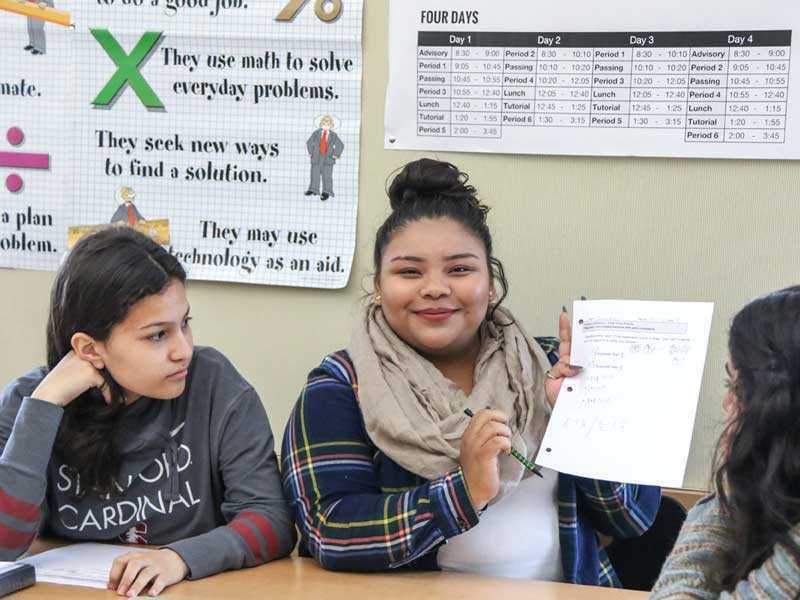 Teachers use whole-group instruction to address skills needed for all students. This approach is used for the first two units of the year, which provides a guided release approach for self-directed learning, with explicit modeling of expectations and procedures. Additional whole-group instruction is focused primarily on non-cognitive skills, like building ownership and culture, and for new academic content that needs to be introduced to the entire class.